Friendship. Love. Interpretive dance. 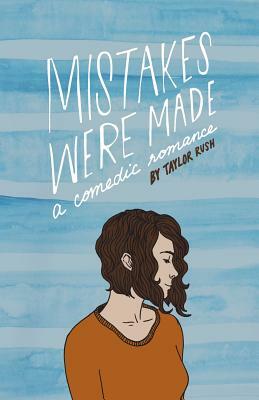 Mistakes Were Made: a comedic romance is a light-hearted romp through the trials and travails of finding love in the most unusual places. In the near future, Jules Martin finds herself at the Misty Forests Recovery Center after breaking both her ankles in an accident. Despite being a grown woman, Jules struggles to find her way. Misty Forests is unexpectedly similar to summer camp - which is both fun and horrifying. One day while hiding in her room, she spies a man dancing his heart out on the grounds of Misty Forests. Jules is immediately obsessed with this welcome diversion. As she begins to make friends with older residents and staff, Jules keeps her fantasies about the dancer to herself. Nonetheless, Jules is on a collision course with this mysterious stranger. Perfect for a vacation or lazy weekend, Mistakes Were Made is a romance for all of us. "At first she thought her drugs were causing hallucinations. But the dance was weirder than anything she could hallucinate. There was nothing overtly sexual about any of his dance moves or flourishes and it only lasted a few minutes, but his confidence and panache were riveting. Jules could not tear her eyes away. She refused to imagine he was entertaining a girlfriend, but was unable to come up with a plausible explanation for his performance." Mistakes Were Made: a comedic romance is the first book in the Greywater Chronicles published by Silurian Press.